(Traders Magazine)-CME Group, the US derivatives exchange, has launched an online tool to allow investors to compare the costs of futures against exchange-traded funds, as some ETF issuers have claimed the funds are now cheaper to use. 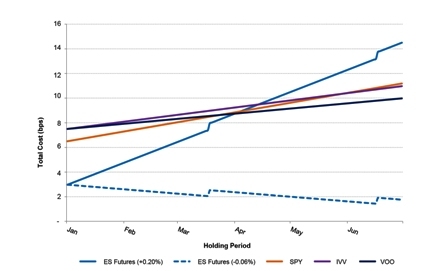 Last month the CME launched the Total Cost Analysis tool to allow investors to compare the all-in costs of replicating the S&P 500 by trading equity index futures versus ETFs, and intends to expand the tool to other indexes. The tool focuses on three different components of the total cost of trading – transaction costs, implementation costs and holding costs. McCourt claimed that for an active trader on a short time horizon, futures are overwhelmingly cheaper on a total cost of trading basis, which includes both fees and market impact but in certain circumstances, over different time periods, this could change. Source, the European ETF issuer, had issued a paper in April, “ETFs vs Futures”, which said futures have become more expensive due to bank regulation while ETFs have become cheaper due to increased competition. The paper said that futures costs have been cheaper recently, this is expected to change. “We expect that, as volatility reduces, the usual imbalance between buyers and sellers in the futures markets will resume and futures costs will return to the levels we saw between 2013 and 2015,” said the report. In addition Source said futures are particularly expensive relative to ETFs at the December roll as banks have less risk appetite at the financial year-end. “For investors planning to hold an exposure over the December-March period, it may make sense to buy ETFs instead of futures,” added Source. The iShares MSCI Saudi Arabia Capped ETF appears to be nearing launch, perhaps as early as mid-June, the date the Saudi stock market is set to open to foreign investors. That long-awaited market opening was a prerequisite to the launch of the fund, the first of its kind. It is, again, the first stand-alone fund focused exclusively on Saudi Arabia, although both Van Eck’s Market Vectors and Global X have Saudi Arabia funds in registration. A possibly underappreciated aspect of the oil-rich country is that many of its energy-related firms won’t be accessible to investors, as most of the energy holdings are firmly controlled by the Saudi royal family. Still, the Saudi market is estimated to have total market capitalization of $530 billion, or twice as big as the market value of Israel’s Tel Aviv exchange. 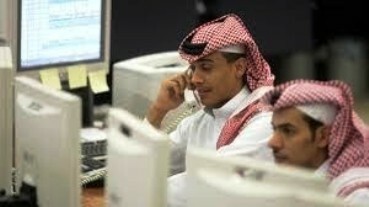 The Saudi market will officially be open to foreigners on June 15. That move was widely expected to be accompanied by the launch of ETFs like this one from iShares. The underlying index is a free-float-adjusted market-capitalization-weighted index with a capping methodology applied to issuer weights. It is designed such that no single issuer of a component exceeds 2 percent of the underlying index weight, and all issuers with a weight above 5 percent don’t exceed 50 percent of the underlying index weight. BATS Global Markets now is the leading U.S. marketplace for exchange traded funds (ETFs), executing 26.1 percent of all ETF trading in May. On Thursday, the Lenexa-based stock exchange welcomed the 22nd ETF to be listed on its trading platform, the iShares Convertible Bond ETF (BATS: ICVT), an indexed bond fund that operates as a subset of the Barclays U.S. Convertibles Cash Pay Bonds Index. 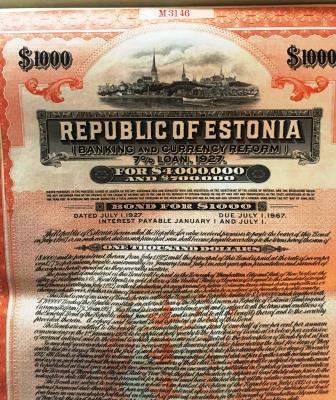 The index measures the performance of the U.S. dollar-denominated convertible bond market, which consists of bonds that a holder can convert into a specified number of shares of common stock of the issuing company. 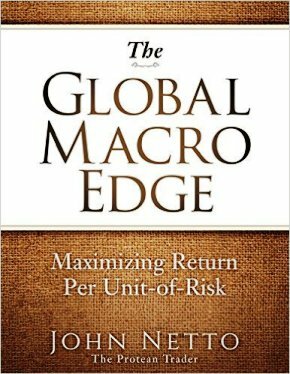 The bonds typically are used by companies with low credit ratings but huge growth potential. More than half of the ETFs listed on BATS are from BlackRock Inc.’s (NYSE: BLK) iShares Exchange Traded Funds business. So the relationship with iShares has been key to BATS growth in listings for ETFs. BATS excels at listing ETFs because offering companies are more interested in getting access to the liquidity BATS excels at offering than they are in buying marketing services, where the New York Stock Exchange and Nasdaq have a commanding advantage. In addition to being the No. 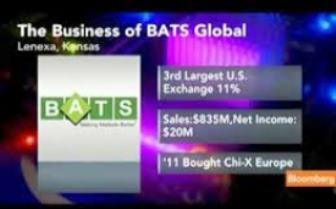 1 ETF trading platform in the United States, BATS is also the No. 2 trader in overall U.S. equities, with a 21.2 percent market share in May. 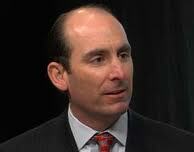 BlackRock is the world’s largest asset manager with over $4.59 trillion in assets under management. iShares is a section of BlackRock that is in control of hundreds of ETFs. As noted on iShares page and continued to ring true today, Many people are turning to ETFs for diversified, low-cost and tax efficient investing. 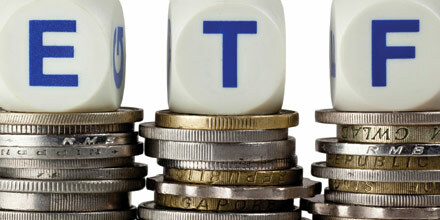 ETFs can be a powerful addition to your investment portfolio. While he may not live the life of a swaggering bond market pro, Mr. Radell, a bond manager at the fund giant BlackRock, is challenging a strategy that has rewarded some of his flashier peers: the pursuit of high-risk, high-return investments. The weapon that Mr. Radell will be using is a new variety of exchange-traded fund, or E.T.F., which tracks an index of stocks or bonds but trades like a common stock, allowing investors to jump in and out. For years now, these funds have been a hit with passive investors. Now, BlackRock is introducing a new breed of bond E.T.F. that aims to blend the best of active investing (security selection) with index investing (cost and consistency). Scott Radell has been with BlackRock since 2003 and currently is in charge of more than 80 ETFs for BlackRock’s iShares. To read the entire article on the new bond ETF from BlackRock found in the New York Times, click here. 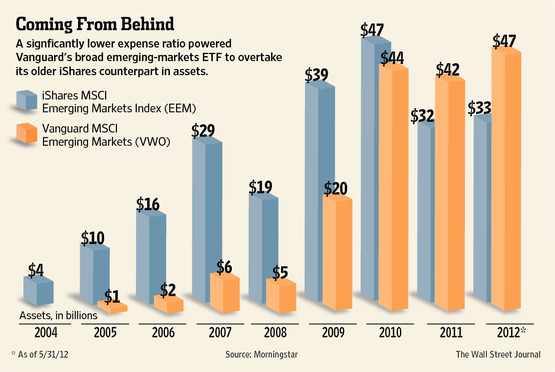 State Street Slashes SPDR ETF Fees; Issuers In A Race to Zero? Nah..
State Street Corp said on Tuesday it has slashed management fees on 41 of its SPDR exchange-traded funds, joining major ETF providers BlackRock Inc and Vanguard in their efforts to lower fees as price competition heats up. The price cuts at State Street, which affect a range of international and domestic equity and bond funds, come at a time when cost has become an increasingly important factor for ETF providers. Vanguard, which recently surpassed State Street to become the No. 2 U.S. ETF provider, has been winning assets with its razor-thin fees. With the new price reductions, State Street’s SPDR Barclays Aggregate Bond ETF, for example, now has an expense ratio of 0.1 percent, down from 0.21 percent. That brings the fund closer to the range of the Vanguard Total Bond Market ETF and the iShares Core U.S. 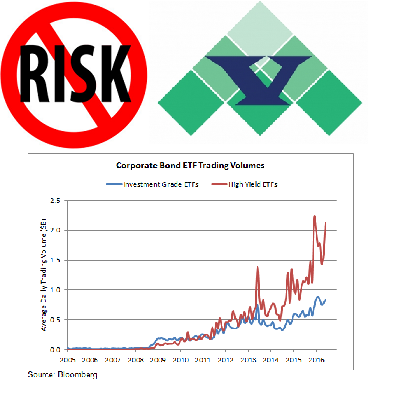 Aggregate Bond ETF, which both have an expense ratio of 0.08 percent. “Competitive pricing is a core benefit to the SPDR ETF value proposition,” said James Ross, global head of SPDR ETFs at State Street Global Advisors, the company’s asset management business. ETF assets have been flowing into Vanguard, long a leader in low fees. It increased its U.S. market share to 21.3 percent at the end of 2014, more than doubling its market share since 2008. SEC SmackDown of Non-Transparent ETFs-No Secret Sauces! In an effort to reign in a powerful campaign to launch secret sauce ETFs that have no business being used by ordinary investors, the SEC scored a smackdown on the creation of non-transparent ETFs in a recent ruling that blocks plans by ETF giant BlackRock as well as Precidian Investments to issue ETFs’ whose underlying constituents would otherwise be, well, non-transparent. The topic of non-transparent ETFs has been a focus of several MarketsMuse articles in recent months. As reported last week by Bloomberg LP, The U.S. Securities and Exchange Commission rejected plans by BlackRock Inc. and Precidian Investments to open a new type of exchange-traded fund that wouldn’t disclose holdings daily, setting back efforts to bring more actively managed ETFs to market. The SEC, in preliminary decisions announced yesterday, denied BlackRock’s September 2011 and Precidian’s January 2013 requests for exemptive relief from the Investment Company Act of 1940. The move puts on hold plans by the firms to start the first non-transparent ETFs. The Precidian proposal falls “far short of providing a suitable alternative to the arbitrage activity in ETF shares that is crucial to helping keep the market price of current ETF shares at or close” to its net asset value, Kevin O’Neill, a deputy secretary at the SEC, wrote in the letter. 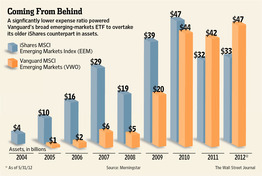 The ruling hinders plans by asset managers to sell funds run by traditional stock-picking managers in an ETF package. Firms including Capital Group Cos. have asked for similar regulatory approval as they seek to expand offerings in the fastest-growing product in the asset-management industry. Money managers have been discouraged from introducing active ETFs, which combine security selection with the intraday trading and some of the cost-saving features of traditional ETFs, because the SEC’s requirement for daily disclosure of holdings would make it easy for competitors to copy, and traders to anticipate, a manager’s portfolio changes. ETF providers must disclose holdings every day to enable market makers to execute trades that keep the share price in line with the underlying value of the fund’s assets. Firms including BlackRock, Precidian and Guggenheim Partners LLC proposed structures that they say would allow the funds to remain priced in line with assets, without revealing specific positions. T. Rowe Price Group Inc. in Baltimore and Boston’s Eaton Vance Corp. are also among fund firms seeking SEC approval for non-transparent active ETFs. None of the applications has been approved. “We are still pursuing our own proposal to offer non-transparent active ETFs,” Heather McDonold, a spokeswoman for T. Rowe, said in a telephone interview. Melissa Garville, a spokeswoman for New York-based BlackRock, and Ivy McLemore, a spokesman for Guggenheim, declined to comment. Robyn Tice, a spokeswoman for Eaton Vance, and Elizabeth Bartlett for State Street Corp. didn’t immediately respond to an e-mail and telephone messages seeking comment. BlackRock was one of the first U.S. fund managers to ask the SEC for approval, after spending three years crafting the product. Their leading role in seeking approval for a non-transparent active ETF has spurred excitement within asset management for the product’s prospects, according to Todd Rosenbluth, director of mutual-fund and ETF research at S&P Capital IQ in New York. An ambitious European ETF firm backed by former iShares leader Lee Kranefuss charged into the U.S. Tuesday, launching its first fund and throwing down the gauntlet to a “stale” industry. 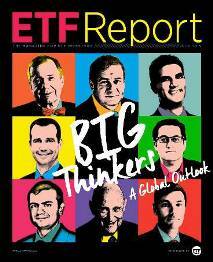 The firm, Source, is the seventh largest in Europe’s smaller ETF industry and 23rd globally. As it enters the United States, Source will be competing for assets with an increasingly entrenched group of three providers — iShares (owned by BlackRock Inc.), the Vanguard Group Inc. and State Street Corp. — and dozens of smaller players. 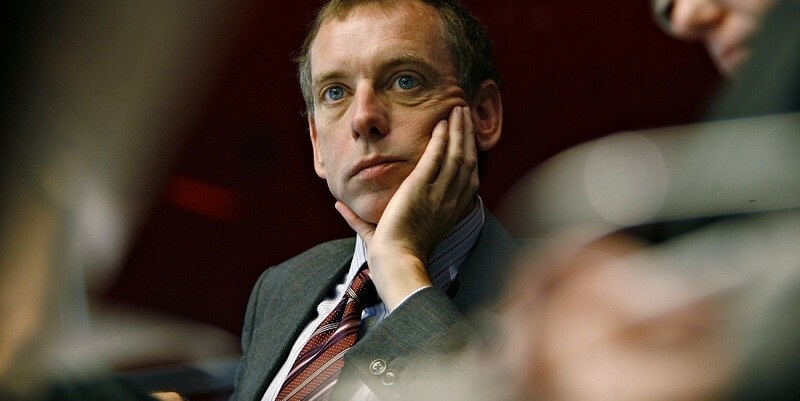 While at iShares before it was acquired by BlackRock in 2009, Mr. Kranefuss, Source’s executive chairman, led the firm’s efforts to popularize the concept of cheaply trading entire markets over exchanges much like a stock, the core concept of the original exchange-traded funds. 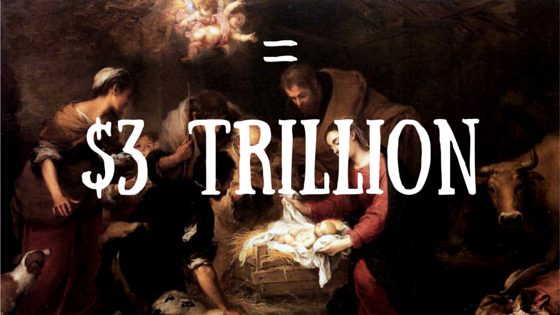 The industry managed tens of billions in the early 2000s; today, it’s a $2.7 trillion business. Bats Chi-X Europe, the region’s largest equities trading platform, has been endorsed by BlackRock Inc. BLK -1.77% for its new exchange-traded fund platform. From next month, the fledgling stock exchange will list two of BlackRock’s iShares ETFs as secondary listings: the iShares MSCI Emerging Markets Ucits ETF andiShares MSCI World Minimum Volatility MINV.LN -0.11% Ucits ETF. BlackRock is the first to list ETFs on Bats Chi-X Europe, which received a stock exchange license from the UK’s Financial Conduct Authority in May. Until now Bats has been a secondary equities trading venue, but the exchange license allows it to diversify into primary listings for companies, derivatives products and ETFs. Trading in European ETFs is highly fragmented, with issuers forced to list their products across a number of different exchanges. In Switzerland, for example, issuers are not permitted to market their products in the country without a local listing. iShares, the world’s largest purveyor of ETFs, on Friday is launching a futures-based commodities ETF designed to minimize contango and maximize backwardation—a follow-on to “GSG,” a first-generation fund it launched about five years ago that doesn’t target contango. The new fund’s benchmark currently includes 20 commodities. The iShares Dow Jones-UBS Roll Select Commodity Index Trust ETF (NYSEArca: CMDT) will be based on the contango-killing Dow Jones-UBS Roll Select Commodity Index Total Return. iShares’ latest filing with the Securities and Exchange Commission detailing the fund said the fund has a sponsor’s fee of 0.75 percent, or $75 for each $10,000 invested. CMDT, which first went into registration in December 2011, is the latest in a growing field of contango-targeting broad-based commodities funds that includes the $6.29 billion PowerShares DB Commodity Index Tracking Fund (NYSEArca: DBC) and the $495 million United States Commodity Index Fund (NYSEArca: USCI). USCI has an annual management fee of 1.03 percent, while DBC’s is 0.93 percent, or $93 for each $10,000 invested. In a “if you can’t beat ’em, poach ’em” moment, mutual fund monster Fidelity Investments has apparently thrown in the towel and will finally focus on running their own actively-managed sector-specific ETFs. At least that’s the obvious conclusion being drawn by industry watchers after news of Fidelity, which still only offers one house-branded ETF, announced the hiring of former employee Tony Rochte, who left Fidelity after four years in 2000 to seek his fortunes in the wild west days of ETF pioneering. The widely-respected Rochte spent his next six years at BlackRock’s bootcamp carrying the iShares flag, and the most recent six years as Senior MD over at State Street Global, where he helped the second largest ETF issuer become, well, the second largest ETF issuer. According to InvestmentNews:With Mr. Rochte’s background in ETFs and his new role running a division focused on sector investments, it seems like a no-brainer to some that Fidelity would re-launch those strategies as active ETFs. “It would be a logical next step,” said Robert Goldsborough, an ETF analyst at Morningstar Inc. “Given that the sector funds already exist and they’re popular with advisers, it would make a tremendous amount of sense to move that competency over to ETFs.” Duh! However much the use of ETF and ETP products in Euro-Land continues to grow, Global ETF Issuer iShares knows that it can grow faster and bigger. 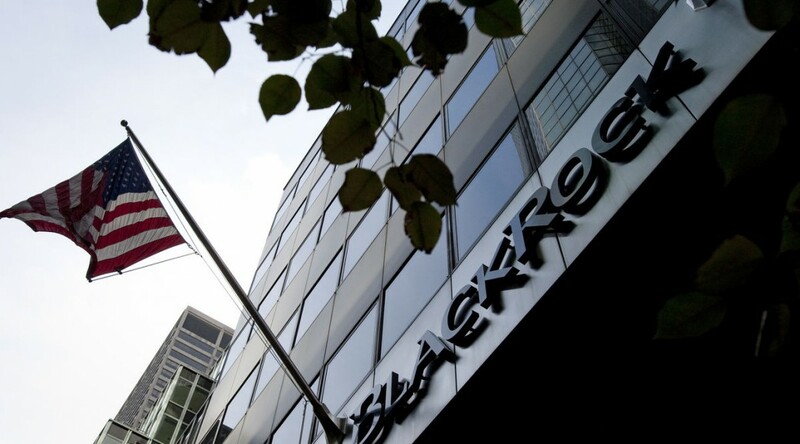 Consistent with parent company BlackRock Inc.’s focus on staying in front of the pack, and as reported by IndexUniverseEU staff, iShares has recently introduced a “due diligence tool” aimed at helping professional investors obtain granular information about its European exchange-traded products.